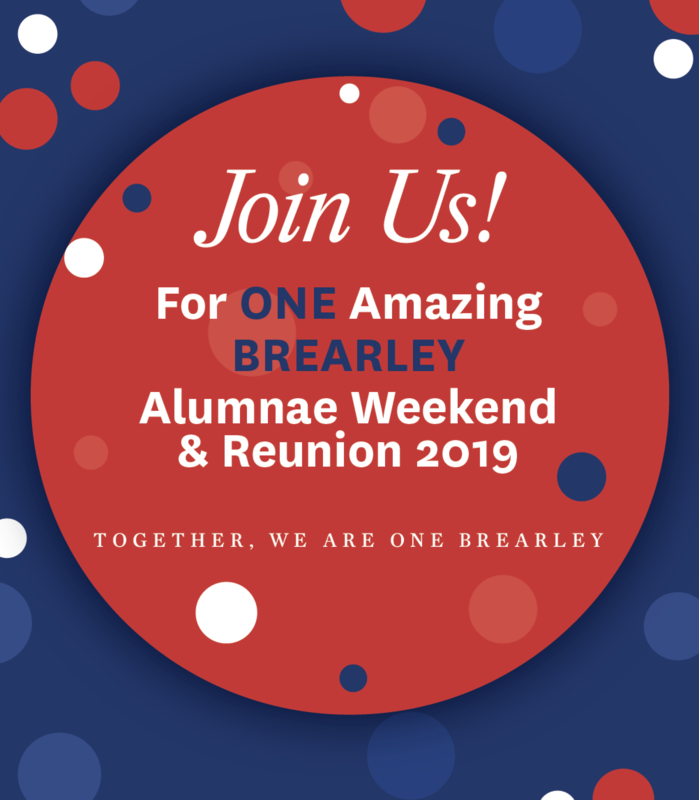 We look forward to seeing you at Alumnae Weekend & Reunion! There are many events to be enjoyed including the ever-popular luncheon, fascinating Turbo Talks, and Friday evening's Alumnae Party honoring retirees and colleagues departing after many years at the School. 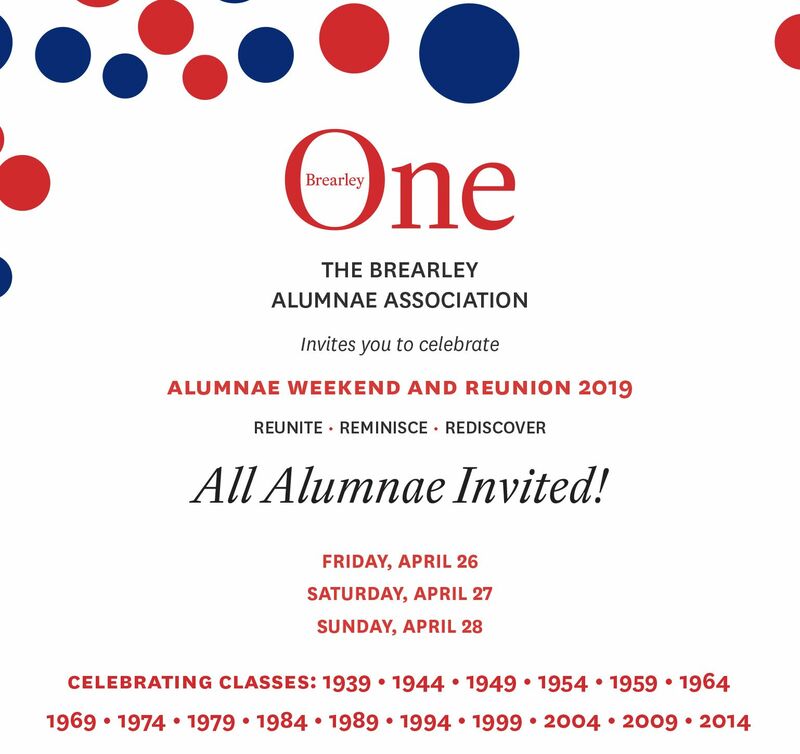 If you have interest in helping with your class reunion by hosting/organizing your Class Party or assisting with the fundraising effort, please contact Tia Murkison, Development Events Assistant (tmurkison@brearley.org | 212-570-8608). Reception for Class Agents, Notes Agents and Reunion Committee Members. Find out what’s new at Brearley, including the new academic schedule, Our Whole Lives (OWL) comprehensive K-XII sexual health educational program, and the School’s Diversity, Equity and Inclusion initiatives. Optional Class tour of the School will follow. All alumnae classes welcome. RSVP required. Hear Alumnae in milestone reunion years give brief, dynamic presentations about their careers, interesting life stories and areas of expertise. View the full Program with bios here. This faculty-led art history class will examine how the romantics, the impressionists and contemporary artists incorporated the experience of walking into their work. Limited space. RSVP required. Upper School students speak about their academic andco-curricular life at Brearley. Q&A to follow. A presentation on Our Whole Lives (OWL), a comprehensive K–XII sexual health educational program. You might learn something new! All alumnae, current and former faculty, staff and retirees will gather for drinks and hors d'oeuvres. RSVP required. The annual all-community tea in May will provide another opportunity to honor the retirees. Breakfast for alumnae, family (children welcome) and friends. RSVP required. Drop off. Age 3+. RSVP required. The School's newest building at 590 East 83rd Street. A visual history of 610 East 83rd Street and the neighborhood. An informal lunch and conversation for LBTQ alumnae & allies. How can we support ourselves and our fellow LBTQ alums? How can our visibility support the School? RSVP required. Be in the room where it happens! See students in action as they rehearse for Twelfth Night. Details will be available at www.brearley.org/miller after March 15. Location TBD. I would like to donate a gift in honor of my reunion.